Vaccine researcher Neil Z Miller is on the cusp (as of August 2015) of releasing a ‘fully documented’ book on multiple studies that ‘scientifically’ refute the big pharma propaganda that vaccines are safe and effective. The scientific documentation proves vaccines are anything BUT safe and effective. This book will consolidate ALL the vaccine hazards information that the CDC (according to CDC whistle blower / vaccine researcher Dr. William Thompson et al) threw in a garbage can to make the outrageous claim that vaccines were NOT responsible for chemical / heavy metal / viral poisoning (AKA Autism) in children who are vaccine victims. When this vaccine ‘fact’ book get’s published, I strongly recommend that you get it out to everyone including your legislators who are being lobbied heavy by the drug dealers. A literature review was conducted to determine the immunization schedules for the United States and all 33 nations with better IMRs than the United States.9,10 The total number of vaccine doses specified for infants aged less than 1 year was then determined for each country (Table 2). A vaccine dose is an exact amount of medicine or drug to be administered. The number of doses a child receives should not be confused with the number of ‘vaccines’ or ‘injections’ given. For example, DTaP is given as a single injection but contains three separate vaccines (for diphtheria, tetanus, and pertussis) totaling three vaccine doses. It appears that at a certain stage in nations’ movement up the socio-economic scale—after the basic necessities for infant survival (proper nutrition, sanitation, clean water, and access to health care) have been met—a counter-intuitive relationship occurs between the number of vaccines given to infants and infant mortality rates: nations with higher (worse) infant mortality rates give their infants, on average, more vaccine doses. This positive correlation, derived from the data and demonstrated in Figures 1 and ​and2,2, elicits an important inquiry: are some infant deaths associated with over-vaccination? A closer inspection of the more recent period from 1999 to 2001 reveals that the US postneonatal SIDS rate continued to decline, but there was no significant change in the total postneonatal mortality rate. During this period, the number of deaths attributed to ‘suffocation in bed’ and ‘unknown causes,’ increased significantly. According to Malloy and MacDorman, “If death-certifier preference has shifted such that previously classified SIDS deaths are now classified as ‘suffocation,’ the inclusion of these suffocation deaths and unknown or unspecified deaths with SIDS deaths then accounts for about 90 percent of the decline in the SIDS rate observed between 1999 and 2001 and results in a non-significant decline in SIDS”18 (Figure 3). It appears as though some infant deaths attributed to SIDS may be vaccine related, perhaps associated with biochemical or synergistic toxicity due to over-vaccination. Some infants’ deaths categorized as ‘suffocation’ or due to ‘unknown and unspecified causes’ may also be cases of SIDS reclassified within the ICD. Some of these infant deaths may be vaccine related as well. This trend toward reclassifying ICD data is a great concern of the CDC “because inaccurate or inconsistent cause-of-death determination and reporting hamper the ability to monitor national trends, ascertain risk factors, and design and evaluate programs to prevent these deaths.”29 If some infant deaths are vaccine related and concealed within the various ICD categories for SUIDs, is it possible that other vaccine-related infant deaths have also been reclassified? It has been argued that the US IMR is poor in comparison to many other nations because African–American infants are at greater risk of dying relative to White infants, perhaps due to genetic factors or disparities in living standards. However, in 2006 the US IMR for infants of all races was 6.69 and the IMR for White infants was 5.56.13 In 2009, this improved rate would have moved the United States up by just one rank internationally, from 34th place to 33rd place.8 In addition, the IMRs for Hispanics of Mexican descent and Asian–Americans in the United States are significantly lower than the IMR for Whites.6 Thus, diverse IMRs among different races in the Unites States exert only a modest influence over the United States’ international infant mortality rank. Infant mortality rates in most countries are reported using WHO standards, which do not include any reference to the duration of pregnancy or weight of the infant, but do define a ‘live birth’ as a baby born with any signs of life for any length of time.12 However, four nations in the dataset—France, the Czech Republic, the Netherlands, and Ireland—do not report live births entirely consistent with WHO standards. These countries add an additional requirement that live babies must also be at least 22 weeks of gestation or weigh at least 500 grams. If babies do not meet this requirement and die shortly after birth, they are reported as stillbirths. This inconsistency in reporting live births artificially lowers the IMRs of these nations.32,33 According to the CDC, “There are some differences among countries in the reporting of very small infants who may die soon after birth. However, it appears unlikely that differences in reporting are the primary explanation for the United States’ relatively low international ranking.”32 Nevertheless, when the IMRs of France, the Czech Republic, the Netherlands, and Ireland were adjusted for known underreporting of live births and the 30 data pairs retested for significance, the correlation coefficient improved from 0.70 to 0.74 (95% CI, 0.52–0.87). 16. MacDorman MF, Rosenberg HM. Trends in infant mortality by cause of death and other characteristics, 1960-88 (vital and health statistics), Volume 20 Hyattsville, MD, USA: National Center for Health Statistics, U.S. Government Printing, 1993. 23. Stratton K, Almario DA, Wizemann TM, McCormick MC. Immunization safety review: vaccinations and sudden unexpected death in infancy. Washington DC, USA: National Academies Press, 2003. Voices For Vaccines: Task Force For Global Health’s Russian Doll. Voices For Vaccines responded to this post and said that “I was being dishonest” because I can’t prove one way or the other that VFV has taken money from ‘The Task Force For Global Health’. They infer that I am just a ‘dummy’ that doesn’t understand how a “fiscal agent” works with organizations. Well, if I don’t, then does the general public that VFV lobby’s for support know either? What does ‘fiscal agent’ really even mean to the general public? It certainly could mean any number of things that VFV could either choose or not choose to disclose with the public. I simply pointed out the fine print that is on Voices For Vaccines own website (at the very bottom of their ‘About’ page). The fine print says that Voices For Vaccines is an ‘ADMINISTRATIVE PROJECT BY The Task Force For Global Health’ (TFGH). There is NO mention in the disclaimer that the (TFGH) is a “fiscal agent” nor does it call VFV an organization. I think it’s safe to assume for legal purposes that the (TFGH) and VFV has to disclose to the public that VFV is a ‘project’ for and by the Task Force For Global Health itself. So, taking their disclaimer on face value, I certainly have a right to believe that not only is Voices For Vaccines disingenuous with the public, so to is The Task Force For Global Heath. Neither party has disclosed to the general public (except for lip service) where does the so-called ‘organization’ begin and where does the ‘project’ end? As just a guy out in the general public their own disclaimer says Voices For Vaccines IS THE TASK FORCE itself. Universities have numerous projects that are EVEN FUNDED OUTSIDE THE UNIVERSITY however, those projects are STILL A PART OF THE UNIVERSITY SYSTEM ITSELF. Nether Voices For Vaccines nor The Task Force have given ANY documentation to the public that they both are NOT one in the same. 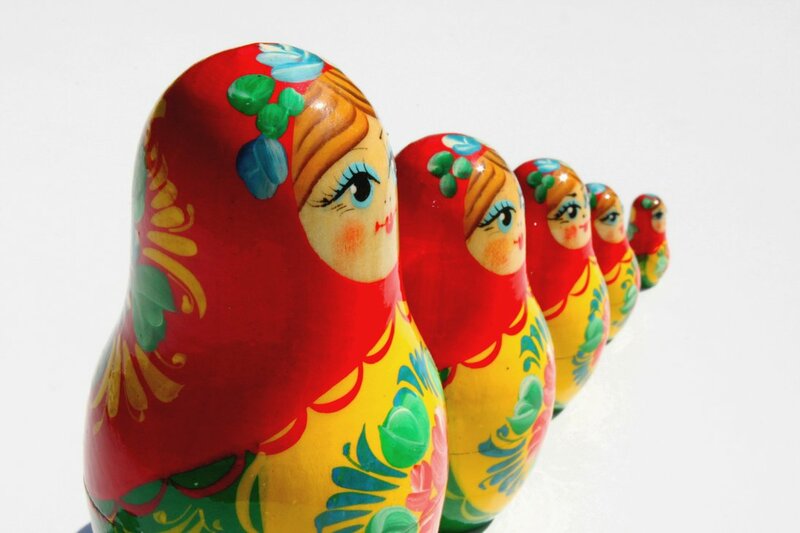 From every way I look at it, VFV is nothing more than a Russian Doll of it’s bigger parent, the Task Force. The Global Task Force For Health maybe legal to pop out a project (like a Russian doll) and that project ‘claim’ that it is ” independent from it’s parent” however, it certainly does NOT make it ethical. There is a difference. Legal to do so or not, If Voices For Vaccines is acting as a silent agent for the Task Force and their donors, the public has the right to ‘legal disclosure’. I’m spearheading a coalition to investigate Colorado Rep. Dan Pabon, D-Denver. in working behind closed doors with Sundari Kraft in creating the actual bill. As reported in the press. This is a gross violation of ethics and conflict of interest to the people of Colorado. Specially those who oppose this bill. When Rep Pabon was working on Colorado HB 14-1288 with Kraft, did he or his staff know that by doing so, he was working with what is essentially a ‘quasi’ lobbying group / fiscal agent for ‘a number of’ vaccine industries, lobby’s and vaccine organizations, claiming he was simply working with a ‘parent organization’? What we really want to know is if ANY of the The Global Task Force For Health’s members / representatives contributed to drafting ANY part of the legislation or if legislators received any donations OR future donations moneys from MEMBERS of the task force? What we found out is that besides the Russian doll ‘parent organization’ ‘Vaccinate for Healthy Schools’ Sundari Kraft is also in charge of the ‘quasi’ parent organization ‘Voices For Vaccines’ in Colorado . Voices For Vaccines distracts the public by claiming they don’t receive money from the fiscal agent HOWEVER, and this is a ‘big’ however, that’s only a smaller problem with VFV. The FACT is, that Voices For Vaccines IS The Global Task Force For Health itself. So, does Lincoln / Mercury receive money from the Ford Motor company? VFV’s claims that they are two separate organizations is absurd. The fact they are one in the same is in black and white on VFV’s own website at the very bottom of their ‘about’ page! Voices For Vaccines is NOT even called an organization by the task force, they are called “a PROJECT of and by the task force”! This fact should NOT be taken lightly. I publicly denounced Voices For Vaccines as being knowingly deceitful and begged them to take me to court for liable & slander. I wanted the world to see what their relationship is with one another in the ‘discovery’ process and learn, how this relationship played a part in the drafting of the Colorado HB 14-1288 bill. VFV reps quickly left this blog and never returned. My question to them was simply… ‘where does the task force end and where does the VFV ‘PROJECT’ begin?’. By reading their own website I can’t tell. Therefore, the ‘claim’ they are simply a “parent organization” separate from the task force IS deceptive. They NEVER had an answer to that very important question. At this point, a would NOT simply trust any answer they would give. REAL concerned parents ACROSS THE COUNTRY need answers to these questions… Was Colorado HB 14-1288 a bill lobbied by big pharma special interest groups AND EVEN WRITTEN BY THEM while posing as ‘parent organizations’? The answer to these questions may not only get this bill stopped / repealed, it also my stop this from happening in the remaining states that still have medical freedom of choice. Original Post Voices For Vaccine responded to. We now live in a day and age where the Internal Revenue ‘Service’ in the United States is doing a ‘disservice’ to the American people by demanding the names of people who financially contributed to Ron Paul’s non profit organization ‘Campaign For Liberty’. The IRS has no legal grounds to do so and the IRS has NO reason to ask for the names of donors of Ron Paul’s not for profit. If anyone should have the right to know about contributors to non for profits it’s the American people themselves. They sure as hell deserve to know more than the IRS, that’s for damn sure in cases where non for profits are really nothing more than giant corporate lobbies pushing their agendas by stealth and payoffs. Americans should demand ‘The Task Force For Global Health’ disclose their FULL donor list so we can see EVERYONE and EVERY ORGANIZATION Voices for vaccines gets their funding from. You see, ‘Voices For Vaccines’ peddles itself to the public as a ‘parent organization’. Their own disclaimer ‘PROVES’ they are totally, and 100% NOT what they say they are. Go to Voices For Vaccines website. Then, go to their ‘About’ page. At the very bottom of the page they disclose who, or should I say, ‘WHAT it is they actually are. What they are NOT is a parent led organization. What they are is a PROJECT by big pharma, big genetics, and lots of big money via a non for profit called ‘Task Force For Global Health’. They are a mega corporate lobby’s ‘PROJECT’ and NOT a parent led organization. Having parents work for the Task Force’s ‘project’ does not mean these parents are ‘leading’ Voices For Vaccines in ANY capacity. Voices for Vaccines are deceivers of the general public. What else would you expect from anything that is coming out of a big pharma lobby ‘non for profit’? The Task Force’s objectives through their ‘puppet project’ Voices for Vaccines is straight forward. Their objective (or ‘end game’) is to eliminate ANY ‘voices’ that demand ‘vaccine accountability’ and to force medicate all children, silencing ANY objection form concerned parents. The mega drug lobby front group ‘Voices For Vaccines’ conspired with Colorado state reps in crafting the exemption legislation to ‘force’ schools into disclosing the number of children exercising their God given right of what goes into their bodies. This, so the drug lobby’s front group can, at some future time, mobilize their psychotic forces to harass and menace both the children and the schools with end game of taking away ones right to CHOOSE what goes into their body. Since Voices For Vaccines wants private school information to be disclosed for the sake of THEIR agenda, we the people of our communities should ask The Global Task, (Voices for Vaccines), to come clean on their donor lists. This donor list has to come from LEGAL DISCLOSURE because, we the people can NOT trust the mega lobby ‘Task Force’ to give us an ‘honest, just trust us’ account on who is paying their piper. We the people of our community need to know of ANY conflict of interest with state and local reps passing Voices For Vaccines crafted vaccine exemption legislation..
What I really want to know is, did ANY campaign contributions from ANY of ‘The Task Force’s donors’ go towards Colorado state rep’s campaign contributions who voted to chip away at Colorado’s precious vaccine exemption laws that The Task Force’s puppet project (Voices for Vaccines) lobbied Colorado state reps to do? All sourced links are found at original article linked below. While “anti-vaxxers” are being smeared in public campaigns as backward and unscientific fear-mongers, a growing body of cutting edge research is emerging from the top echelons of medical immunology to confirm what the cranks have been saying for years about the devastating effects of vaccine ingredients. The biggest names in the field of study of the human immune system are attached to current papers in the most prestigious immunology literature that link widely used vaccine ingredients such as aluminum to terrifying modern epidemics of immune-mediated diseases including autism and Alzheimer’s. As well, they’ve identified an entirely new post-vaccine syndrome: Autoimmune Inflammatory Syndrome Induced by Adjuvants (ASIA). And while the study of ASIA is shining light on the underlying mechanisms through which vaccine ingredients trigger disease, it is also exposing cracks in the foundation of a century of vaccine orthodoxy . Ignasi Rodriguez-Pinto, an autoimmunologist at the Barcelona Hospital Clinic and former fellow of the pre-eminent Zabludowicz Center for Autoimmune Diseases at Tel Aviv University’s Sheba Medical Center was at the symposium to announce the creation of a world registry for ASIA. ASIA was first identified in the Journal of Autoimmunology in 2011 by Dr. Yehuda Schoenfeld, founder of the Zabludowicz Center. It includes a broad spectrum of neurological and immune-mediated phenomena seen following vaccine injections which result from exposure to their ingredients, including aluminum. Among ASIA’s diagnostic criteria: weakness, anxiety, rashes, chronic fatigue, sleep disorders and the onset of a range of autoimmune diseases from Systemic Lupus Erythematosis to Rheumatoid Arthritis — sometimes years after an initial reaction. ASIA is also dubbed “Schoenfeld’s Syndrome” for Schoenfeld who has published more than 1,700 articles in the medical literature and is widely regarded as the world’s leading authority on autoimmunity — disease that results when certain proteins in the body lose their “immune privilege” or protected status, and the machinery of the human defence system mistakes them as foreign invaders and launches an assault on its own body. “ASIA is a wide concept that includes any environmental factor which is demonstrated to trigger autoimmune conditions,” said Rodriguez-Pinto. Cases of Gulf War Syndrome, which result from exposure to the chemical squalene – a component of vaccines used on military personnel during the Gulf War, and siliconosis – immune-mediated symptoms triggered by silicon exposure in prostheses and breast implants – are now being considered under ASIA’s umbrella, he said. The registry was established in January of this year as a tool to enable researchers to analyze cases of ASIA globally, to compare clinical manifestations after exposure, and to establish common instigators of autoimmunity and compare efficacy of treatments. In its first month of operation, 283 confirmed cases of the syndrome were registered — 73% followed vaccination while the remainder were exposed to other known toxins. “That the aluminum ion is very toxic is well known,” said Shaw. “Its toxicity was recognized as long ago as 1911 and evidence of that has only been amplified since,” he said, especially in a growing body of evidence of aluminum’s role in Alzheimer’s disease and autism. He and other researchers also demonstrated “social interaction deficits” and elevated anxiety levels among the vaccinated mice, reflected by their obsessive stair climbing and reluctance to move between light and dark regions compared to controls, for example. Shaw’s forthcoming research demonstrates the impact of aluminum on gene proteins and gene expression and how these relate to autism. Celeste McGovern’s article first appeared on GreenMedInfo. Big Pharma Vaccine Lobby Admits Vaccines Spread Disease While, At The Same Time, They ‘SHAMEFULLY’ Persecute Completely Health Happy People Who Don’t Want Their Poison Injected into Their Veins. There is a story within a story here. Despite ALL the BS put out by ALL the usual suspects with financial ties to the vaccine money machine, once again, vaccines are behind yet another measles outbreak. DUH! You inject a cocktail of viruses into someone and you don’t expect those ‘INFECTED’ by vaccines to ‘shed’ those viruses? Think Again! Remember, the liars that make up the mega vaccine pharmacological lobby continues to put out the incredible disinfo that vaccines do NOT transmit disease, even though, throughout history they ALWAYS HAVE. Take note that even though this pro vaccine publication admits vaccines spread disease they whitewash and down play this very FACT, and use what is called ‘double speak’, promoting vaccines as safe and effective. I also see that at the end of the article they blame ‘perfectly healthy and happy non vaccine infected children for spreading measles with NO prof what-so-ever to back up their claims IN THE FACE OF PROOF THAT VACCINES SPREAD THE VERY DISEASES THEY’RE SUPPOSED TO PREVENT IN THEIR OWN ADMISSIONS! The main stream corporate media who, does NOT like this blog mentioning that they are ALL tied to the wallet of those companies PROFITING from vaccines and the medical carnage they are causing, recently started fear mongering over the recent measles outbreak in ocean county California. The media blitz has, once again, ATTEMPTED to ‘persecute’ and NOT report the facts of yet another measles outbreak where the majority of the infected are in fact vaccinated for measles. So, instead of ‘correctly’ reporting that out of the 21 measles outbreak cases, a whopping 16 of the 21 children were in fact vaccinated, The corporate media instead, focuses ALL their attention on the 5 children who were not. Why is the FACT that the majority of infected children being vaccinated not the ‘highlight’ of these so-called corporate media reports on the orange county Measles outbreak? Is it that a.) the MSM is distracting away from the fact that it is the vaccines themselves that are most likely causing the measles outbreaks as it is almost always the case with these measles outbreaks and b.) that the corporate media is using the ‘over hyped’ news coverage to engage in a witch hunt against those who do NOT want forced heavy metals, chemicals, a number of stealth viruses (none of which are tested for cancer) into the veins of their children. All while the medical industry cheerleads this media circus / inquisition pandering to the lowest common denominators in our society. It Was even brought to these doctor’s attention by ABC’s George Stephanopoulos ‘fill in host’ that force medicating of the population (for the greater good) was exactly what the Nazis did. I guess force medicating the population with heavy metals, chemicals… is OK as long as guys in white lab coats on TV tell you it’s OK. Eyes rolling. After watching this ‘wild west medicine show’ unfold on network television, print and establishment social media, I came to the conclusion that the entire measles outbreak made for TV drama was to push an old Nazi agenda of forced medication while covering up the fact that their vaccines are INDEED SPREADING THE VERY DISEASES THEY ARE SUPPOSED TO BE PROTECTING US FROM?